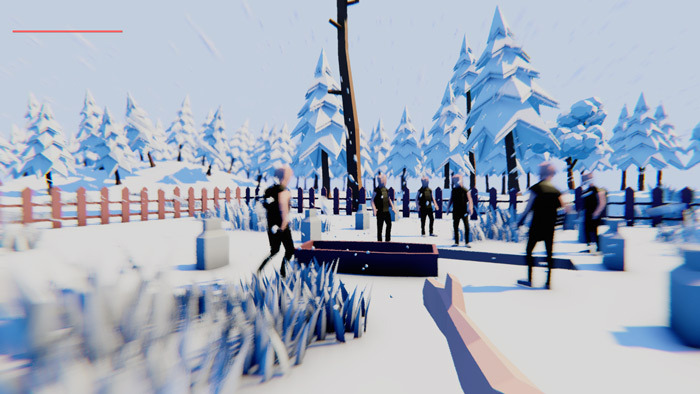 Chaos Starter is a low poly simulation game, well it would be a life simulation game if life was incredibly violent and full of people fighting! 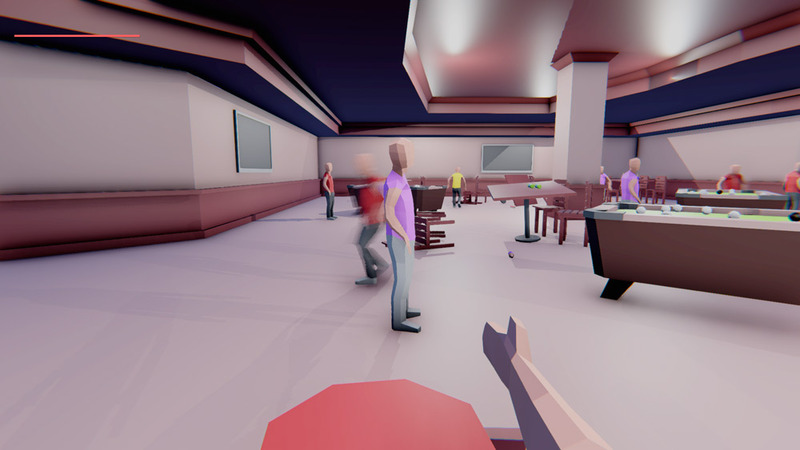 The game features a few different locations such as a bar, the beach, a cemetery and even a restroom, all of which are populated by NPC's that you can attack using a karate chop style action with your arm, they will also brawl among themselves and this can often be pretty funny to watch. 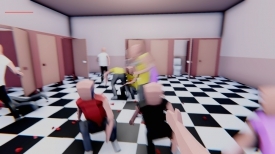 Chaos Starter is silly enough to be amusing but the controls you have can often feel a bit unresponsive and attacking enemies can seem a bit tedious and based more on luck than actually the actions of you the player, it is a game that will provide laughs and those who like to just watch chaos unfold around them should really enjoy this, however in regard to actual game play it can feel a little lacking and while the blocky graphics are appealing and it's certainly worth checking out it may not be a game that you return to many times. 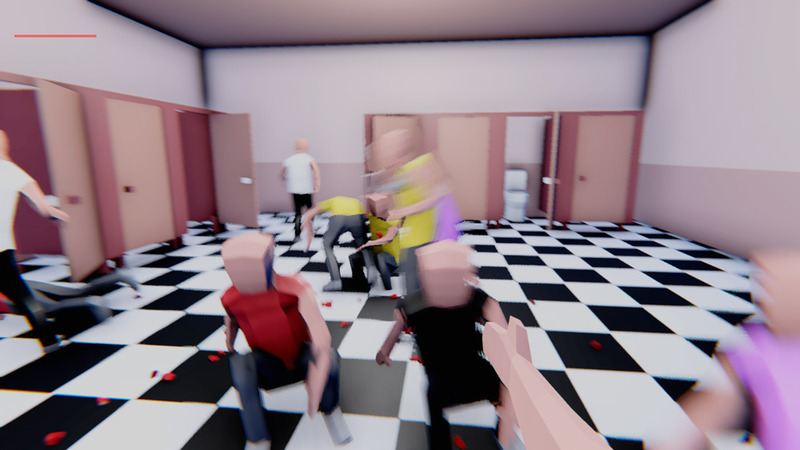 An amusing game that is more about watching the crazy physics and silly fighting happening around you than being involved yourself, you can download Chaos Starter here for free.